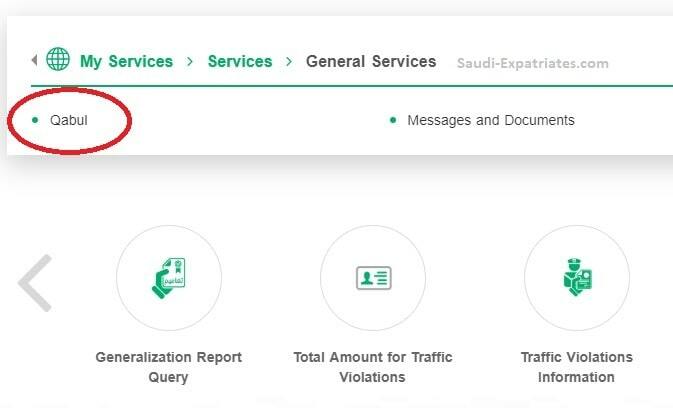 - For example, If you open your bank account online in Bank Albilad or any other bank, then they need your authentication from Absher, That authentication request you will be find in 'Qabul Service'. Once you approved that request, you can open your bank account online. 1. Login to your Absher.sa account, Authenticate yourself from the SMS message you get. 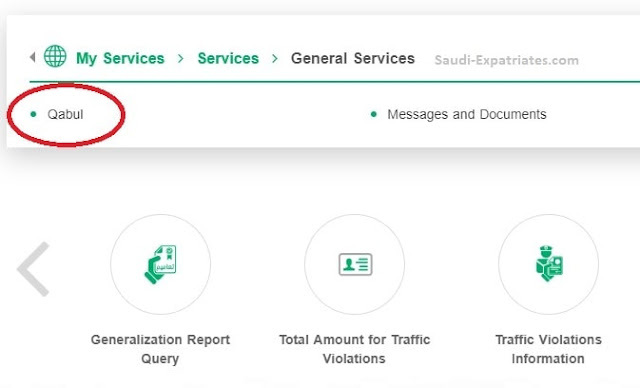 You can also choose it from 'Services' then 'General Services' then 'Qabul' service. You also access it simply by clicking "Absher Qabul Service". 2. Select either 'View Pending Requests' or 'View Accepted Requests'. In pending requests you will see new requests which you need to accept or reject. In accepted requests you will see those which you accepted earlier.